My name is Eric and I'm 40 years old and currently living in Argentina with my Argentine wife and our 2 year old son. I have a background of music spanning from playing the FrenchHorn in High School, All-County Band and Community College to also playing guitar and even Mandolin and singing tenor in a Bluegrass Band in Florida. I also play the clawhammer banjo but it's been my desire ever since I was a young boy to play the Fiddle, however I've only just started diving into it, having been playing about 5 months or so now. On a more serious note: "I've been away from music for too long, as I used to be very active in the Bluegrass music scene in Central Florida. My goal is within 2-3 years, to be able to play standard, traditional Bluegrass Fiddle well enough to play in jams or in a group and have a good foundation and decent repertoire of Fiddle tunes. I average about 1 hour to 1 1/2 hours a night on practice with scales, arpeggios and practicing Double-Stops and different licks. I'm currently working on "Sally Goodin" and also "Turkey In the Straw" as well. During the weekend I put in about 3 hour or so in the day. Most of my family is from, and lives in Kentucky so I'll be moving to the Louisville area in about 2 year's with my family to be closer to family and my mother, who's retiring. I hope to be good enough by then to get plugged in locally and play some good music. Fiddlerman: "I'm really impressed with the amount of time and effort you've put into sharing your expertise on Violin and Fiddle playing with folks on the internet and really appreciate the time you've taken to compile all of this material. I hope to be be a part of many months and years of Fiddle learning with you and the good folks here on the forum! Hello and welcome to the Fiddle Form. There are a lot of adult beginners and musicians of many instruments here. I think you will enjoy this great community. Welcome, Eric. I'm sure you'll enjoy it here with us. 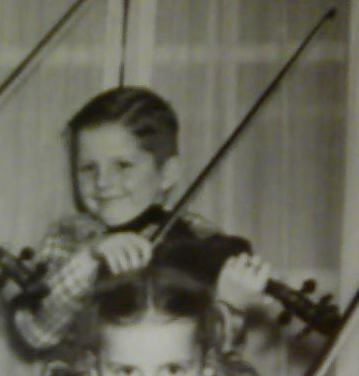 Too bad you never got the chance to explore the violin/fiddle while growing up. Anyways,,, you're in good company here. I wholeheartedly agree but now is better than never LOL! Sounds like you will have great tools for quick learning. OMG!!! What a mistake that was. Sorry to hear that. Happy that you are all the wiser now. That is some heavy duty practicing. I predict great things from you. The knowledge you already have from listening to these guys will really pay off. I believe that you will. Wow, thanks for the great encouragement Fiddlerman and also for the warm greetings from everyone. I definately look forward to contributing and learning here on the forum!